As it’s such a great way to relax, more and more people are turning to painting as a hobby, choosing the peace and tranquillity of Snowdonia as the perfect place to practice their art. When we’re relaxed, we’re undoubtedly at our best to learn a new skill. What better place to do this than spending a day or two soaking up the atmosphere in the top left hand corner of Wales? And with 40 miles of narrow gauge railway passing through some of the most beautiful scenery in the world, our steam trains offer the most relaxing way of finding that perfect location. Whether it be mountains, lakes, rivers, forests, or even the steam trains themselves, you won’t need to go far to find your inspiration. Stretching from Caernarfon on the Menai Strait, to Porthmadog Harbour and then on to the dramatic slate quarrying landscape of Blaenau Ffestiniog, many of the locations dotted along our railway can’t actually be accessed by road; they can only be reached by train. Nestled amongst one of the most mountainous areas of the UK – and surrounded by the sea – the weather and light are constantly changing, making the views equally stunning come rain or shine. 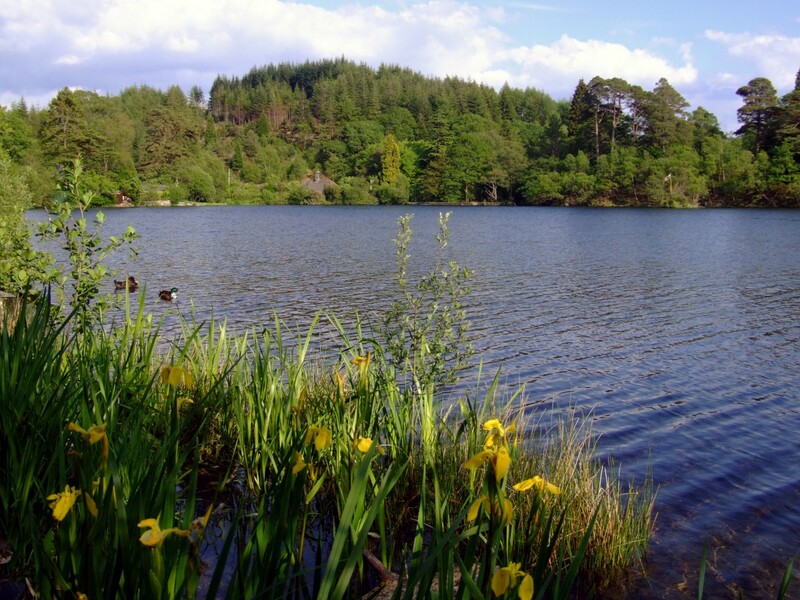 Big skies, together with stunning reflections in tranquil lakes, make Snowdonia an artist’s paradise. It’s a place where painting can often capture the feel of the scenery far better than a photograph. In short, it’s a place in which to be inspired. In fact, that is one of the reasons TV watercolour artist, Matthew Palmer, chose Snowdonia for one of his popular painting holidays in June this year. Matthew has been teaching art on painting holidays all over the UK for 15 years and spent a couple of days with his class at Porthmadog capturing the atmosphere of the historic steam trains together with the stunning views out to sea and inland towards Snowdon. 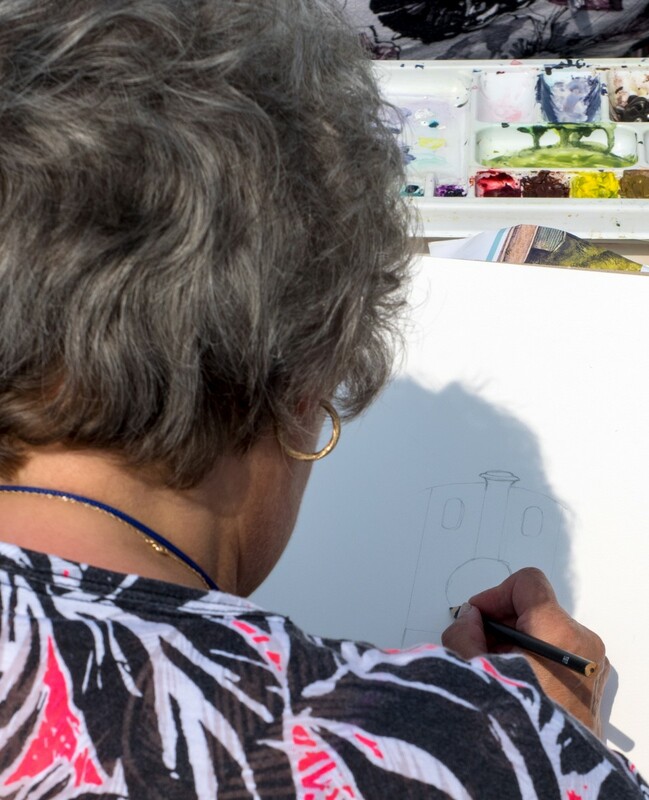 This year, Matthew’s group consisted of artists from Nottinghamshire, Oxford and many other locations from across the UK, all sharing a passion for watercolour painting. Next year’s Welsh holiday takes place from the 5th to the 9th of June, visiting a different location in North Wales each day. To find out more about Matthew’s painting holidays, visit his website. 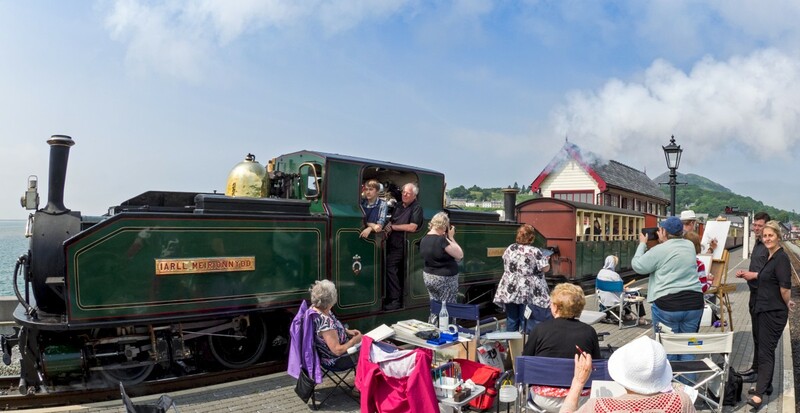 Or if you’d like to go it alone and discover Snowdonia for yourself, be sure to book your tickets for the Ffestiniog and Welsh Highland Railways.